The Western North Carolina Conference responds to human needs all over the world, answering God's call to provide food, medicine, shelter, clothing and other resources to help alleviate human suffering. In order to meet WNCC disaster response and human assistance ministries, the centrally-located Mission Response Center (outside of Mooresville, NC), a permanent and secure facility, is owned and operated by our conference to store equipment when not deployed; sort, repack and ship resources overseas; warehouse building materials and supplies; and offer a hands-on mission project for volunteers in the conference. For more info about the Mission Response Center click here. Our United Methodist Women's Lydia Circle does several projects throughout the year. Lydia Circle members are involved in a variety of mission oriented projects and study programs. Our members have collected, in February and March, health care items for Elkin High School and East Wilkes High School in memory of Lynn Barnes and Nina Tharpe. Elkin Elementary's Backpack Food Program and UMCOR'S Sewing Kits have been collected and delivered. Each summer youth and our adults take part in CCC. This is made possible through fundraisers, generous donations from the church members, and through budgeted funds. CCC gives youth and adults the spiritual renewal of a camp-like experience and the life-changing opportunities that a weeklong mission trip offers as well. While the work is challenging, CCC makes it easy for your group to worship, serve, and grow. 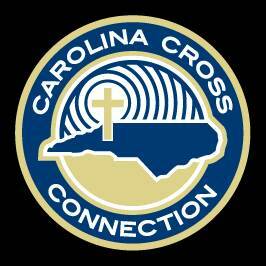 For more info on CCC click here. Over the years we have helped construct several wheelchair ramps for people in our church and in the community. Below are a few pictures from one of our recent projects.